Science fiction has often turned to the human fantasy of invisibility. Films, comics, videogames and literature (Susan, “The Invisible Woman,” from Marvel Comics or The Invisible Man by H.G. Wells are good examples) have made us fantasize about the possibility: one which has now left the realms of the improbable to become a feasibility. Although invisibility cloaks have been tested before, they could only work well when the viewer was placed in a straight line with respect to the object. This is the first time that invisibility is maintained when the observer changes position; in other words, when the object is observed from different angles. 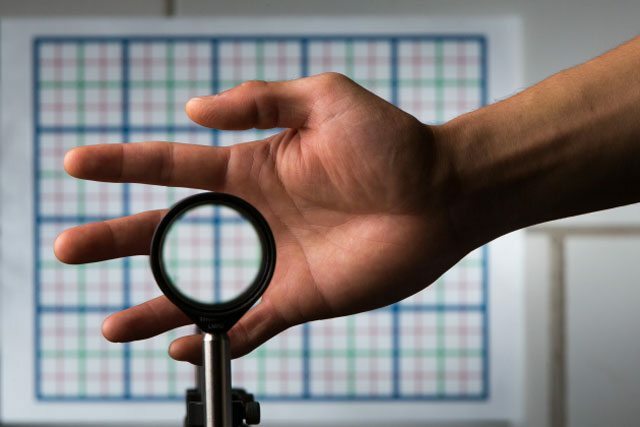 It is also the first time that a cloaking system turns out to be so (amazingly) simple. John Howell, Professor of Physics at the University of Rochester, explains how the device works. So far, the physicists working on the project have managed to make small objects such as a hand, a face, a ruler or a pencil invisible to the human eye, without losing the clarity of the background. However, the system they use has the potential to hide any type of object, regardless of its size, as the Rochester Cloak can be scaled in the same way as lenses, and for the entire visible light spectrum. The only limit is the size of the lens. 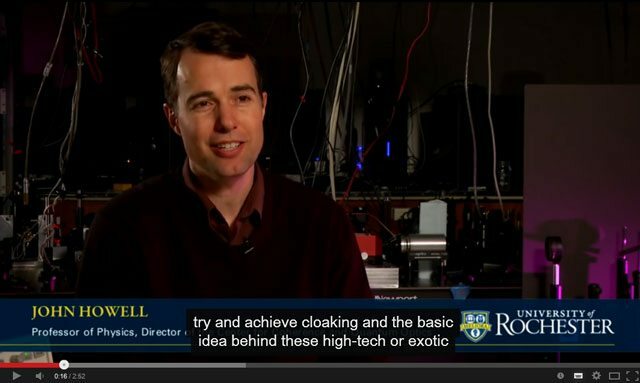 As Professor of Physics, John Howell, explains (in the video above) that the Rochester Cloak was created by the researchers using four standard lenses, ones which can be found in any opticians, and other low-cost, easily accessible materials. They spent less than 800 euros. Aside from creating the invisibility cloak with the lenses, another of the team’s challenges was to achieve an undistorted background, even when the viewpoint changes. They have achieved this through the choice of lenses and placing them at the correct distance from each other. It is too soon to venture how many and what range of applications this optical cloaking device could have. 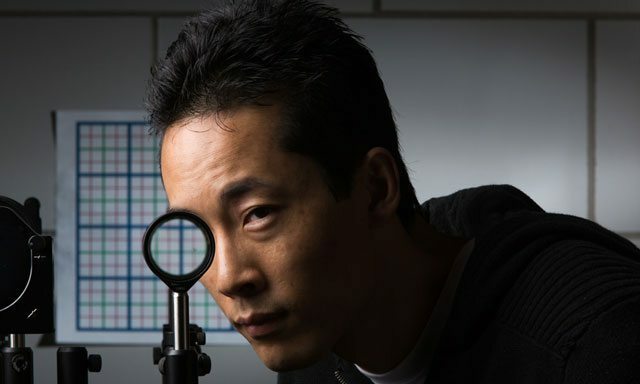 However, Joseph Choi, a member of the research team, gives some examples: surgeons will be able to operate without their hand being a visual obstacle and drivers will be able to see through the blind spots. He also cites the army, interior design and art as fields which could benefit from the work. The team has already applied for the patent for the Rochester Cloak. Like many good scientists, Howell and Choi are able to explain their findings in a simple way, and they enjoy doing so. 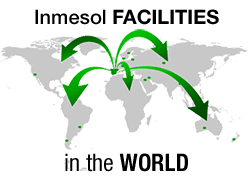 Together they have created a website showing how to reproduce their system in four steps.